From the innovators of Olympus high-speed camera technology comes our state-of-the-art i-SPEED 7 Series with groundbreaking specifications for demanding scientific applications. Designed for engineering and research, i-SPEED 7 cameras provide the perfect balance of ultra-high resolution -- with higher pixel density for accuracy and the ability to zoom in to magnify detail -- with recording speeds that capture even the fastest transient events without any blur. Don't just slow down motion -- analyze it. The i-SPEED 7 Series are more than just raw recording power, they are state-of-the art scientific tools that are loaded with features that benefit the user in a lab or a test range. 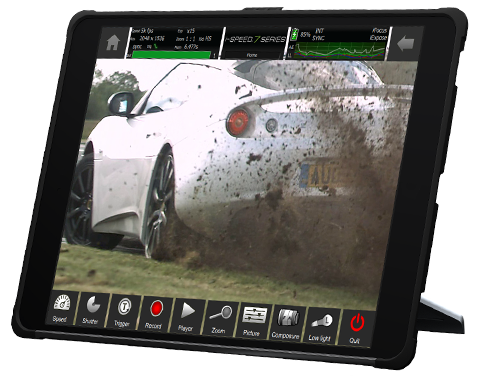 The i-SPEED 7 cameras boast throughput from 13 to 26 GPixels/second, resulting in the fastest recording rates in the world. But recording speed is not everything: the heart of the i-SPEED 7 is an innovative, custom-designed and exclusive 3.1 MPixel image sensor that allows users to use digital zoom to capture both temporal and spatial details. 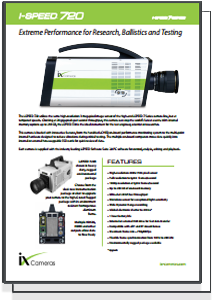 iX Cameras continues the Olympus i-SPEED tradition of designing a unique Control Display Unit (CDU) for our cameras. Now with the i-SPEED 7, we introduce the first touchscreen CDU version -- the CDUe -- for the utmost in portability and ease-of- use at the camera. The CDUe application software is designed in layers. Make a quick recording, save images to the internal or external SSD and playback slowly with just a few touches. For more demanding applications, the CDUe helps you focus, set exposure, record and playback with a wide range of powerful options. The bright display allows camera users to 'frame and aim' at the camera -- no more towing around laptops or looking at large TV displays to optimize focus and position. No other camera provides portable control like the i-SPEED 7 with a CDUe. *ProAnalyst and i-SPEED Movie Maker available with Premium bundle. 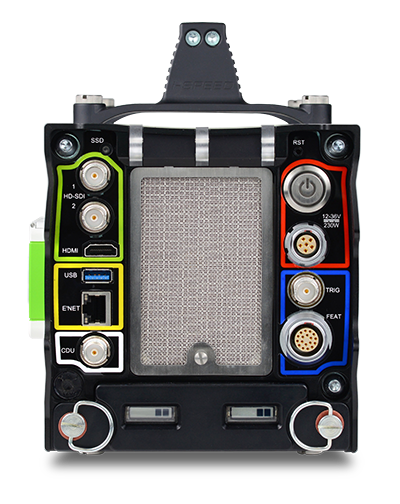 If your application requires you to take your i-SPEED 7 outside the laboratory, select the rugged package. Machined from solid aluminum, the rugged package is High-G rated for shock and designed to keep moisture away from the electronics inside. The rugged package also has a removable handle and multiple attachment holes for hanging, use with booms, and insertion into enclosures and chambers. High-speed cameras generate large video files that need to be transferred to permanent storage. 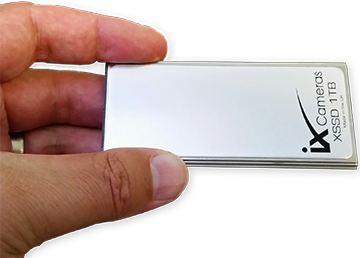 Introducing the first swappable external Solid State Drive (xSSD). Move very large data files in final video formats quickly and with ease. SSD cartridges snap into the i-SPEED 7 camera and into your laptop, where they appear as another hard drive. Available in a variety of storage capacities. No more expensive, custom high-volume transfer solutions. Optional dual swappable batteries provide up to an hour of independent charge to the camera. Plug the camera in to automatically recharge the batteries or replace them with a fully charged set to continue your capture uninterrupted, without the need for heavy battery packs or noisy generators. Batteries charge during operation and automatically engage once the camera is unplugged. Keep a store of fresh batteries to shoot on the go for as long as you need. The real-time health monitoring system is the most valuable i-SPEED 7 feature you will likely never see. Embedded within each camera is a sophisticated series of sensors capable of monitoring your camera's environment and power systems at all times, automatically making adjustments as necessary to ensure a stable working environment. View the camera's internal and external environmental conditions and allow the camera to automatically adjust fan speed to regulate heat distribution, saving precious battery life and reducing internal noise. Use the health monitoring system to adjust external environmental conditions manually. Monitor the total voltage used by the system, as well as the voltage used by the camera alone. Watch the current that the camera is using, the temperature of the sensor, fan speed, and the average camera temperature to ensure that challenging environmental conditions do not damage the camera. Test that third party protective housings are not disruptive to the internal framework of the camera. The health monitoring system can also reduce fan noise using quiet mode and displays the battery health and status. Regardless of your capture environment, you never have to worry about your camera getting damaged or losing data through overheating, battery failure, voltage spikes, or overcurrents – it’s simply impossible. The i-SPEED 7 offers the most versatile and varied output and control options available, allowing the ultimate freedom to use the camera in a variety of applications and industries. Whether you are controlling it through the CDUe or a local computer, you will use an instinctual and intuitive control system, allowing for quick recording, playback, cropping and saving of clips. Multiple video outputs allow for instant streaming of camera images and third-party connectivity and live interaction. The external SSD module allows for SSD cartridges to be quickly swapped between recording sessions. The i-SPEED 7 offers the most versatile and varied output and control options available, allowing the ultimate freedom to use the camera in a variety of applications and industries. Connect to any external viewfinder, camera monitor or TV and view live video directly from the camera, or preview video during playback and review. Dual HD-SDI output means that the video signal is not compromised even during long down-range video runs. View a direct video feed from up to 300m away with the HD-SDI ports or record and play back on-the-fly for more agile shoots. Whether you are controlling it through the CDUe or a local computer, you will use an instinctual and intuitive control system, allowing for quick recording, playback, cropping and saving of clips. Multiple video outputs allow for instant streaming of camera images third-party connectivity and live interaction. Real-time on-screen luminance histogram allows you to make precise adjustments to both the sensor as well as the image while you are setting up the scene. 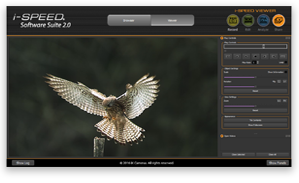 Adjust or invert individual channel brightness, contrast and color values, or fine-tune the gain and gamma of the live image based on easy-to-read histogram levels. Connect your i-SPEED 7 cameras to an IRIG-B generator to synchronize the timing across a test range. The i-SPEED 7 uses the range-acclaimed phase lock IRIG system invented for the i-SPEED 3 cameras in 2010, widely accepted to be the most accurate because it actively synchronizes the internal camera clock to external timing pulses. The IRIG time (and position) are logged with each frame. The i-SPEED 7 is the only ultra-high-speed camera that does not require the black balance to be set for each scene. The camera automatically verifies the black levels for every single frame it records, simplifying your workflow and producing beautifully contrasted shots automatically. Unlike all other ultra-high-speed cameras on the market, the i-SPEED 7 does not output unprocessed RAW files by default. All video and images generated by the camera are fully processed by the camera itself; no need to set color and balance and playable video by default. View the videos right out of the camera, with no post-processing necessary after the video is uploaded – simply open your images and video in any movie player. Miss your adjustment palette, or are you unsure about the exposure of a shot? No problem – you can always save into an 8-bit, 12-bit or 16-bit RAW image or format. Save time downloading the video* now by skipping the processing and spend the time later doing your camera adjustments with your preferred adjustment software. *All published download speeds are based on default processed video settings. Exporting unprocessed video increases overall download speeds of camera. 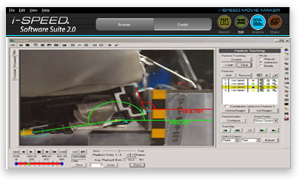 Turn your i-SPEED camera into a precision measurement device with ProAnalyst®, premium video analysis software from Xcitex Inc. Analyze, graph and output speed, acceleration, and angular motion. Measure fluid dynamics, PIV, displacement, and more with optional toolkits. i-SPEED Movie Maker is the world's only video editing software designed specifically for high-speed video. 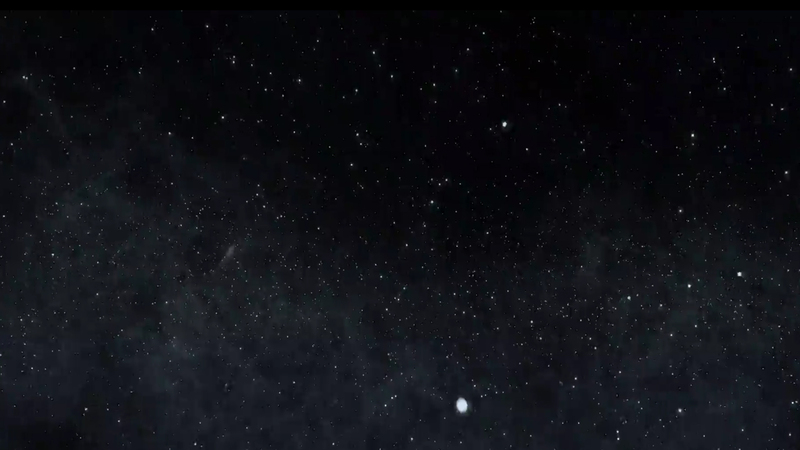 Movie Maker features virtually no render lag and focuses on frame rate and video speed. Overlay ProAnalyst video analysis directly on top of your video to create captivating presentations, or use Movie Maker to crop, trim, expand, or combine videos. Sync and edit multiple angles, insert graphical overlays and much more. i-FOCUS assists in setting the focus of the image in bright environments or on moving objects. A brightly colored overlay peaks to red when lines on an object are crisp and that object is in focus. i-FOCUS is also an excellent way for the user to quickly see the available depth of field in the shot. Monitor your camera's status at a glance and in real-time with i-CHEQ 360. 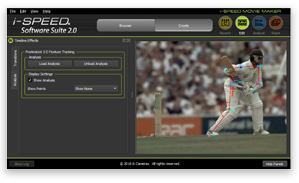 View in-camera details for single or multiple camera setups with Remote i-CHEQ, part of the i-SPEED Software Suite 2.0. 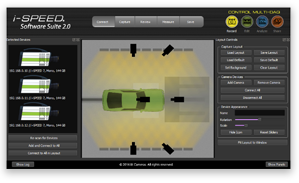 Understand your camera's exact status using the 3 variable color lights on the rear of the camera and mirrored inside the control software. Quick. Robust. Secure. The i-SPEED 7 comes with an optional internal SSD drive. Save terabytes of captured videos to the large internal storage drive and offload the files when it is convenient. Save video or quickly transfer high resolution images directly to a USB drive, or connect a USB3 external hard-drive and transfer your compressed or uncompressed video directly to your portable storage. 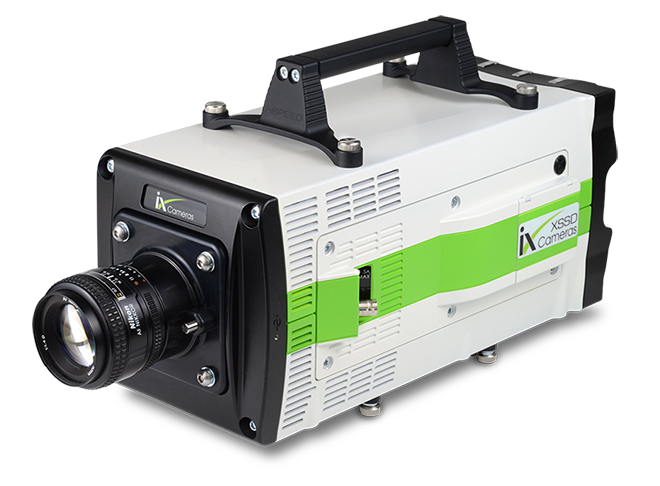 Maximize the benefits of your i-SPEED 7 Series Camera though personal support and training classes, including help with installation, applications, and more. 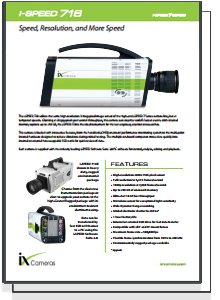 iX Cameras offers a wide range of i-SPEED accessories to meet the demands of all applications. Find everything you need right here from lenses to lights and data acquisition solutions. Or let us work with you to develop the system you need.